Drama. What do we know about Ranexa™ (ranolazine)? Nothing. Well, then, how about Suboxone™ or Naloxegol™ (versus the usual care) or NovoSeven™ or Tresiba™? Still nothing. Nor would we know anything about the thousands of new drugs and treatments that are looking for patents, patients and customers were it not for the tens of thousands of investors who apparently do know something about these drugs and treatments, and have bid up the stock price of Gilead Sciences Incorporated (which makes and markets Ranexa – Reuters, March 10, 2013, Gilead drug reduces chest pain episodes in diabetics: study) from $25 at this time last year, to $40 by year-end, and to $45 today and it doesn’t even pay a dividend. But, despite everything that we don’t know, it’s been in the Perpetual Bond™ since $25 in early 2012 because the Red Line Stock Price (SP) is above the Black Line Risk Price (SF) and it’s in the Perpetual Bond™ now for no other reason than that. Please see Exhibit 1 below. However, we also note that the currently expected downside volatility of the stock price could be as high as minus ($6) per share (please see our Post, Popoviciu’s Volatility, October 2012) and we should think about taking some of our profits and buying the May put at $45 for $1.95 per share and we can partially offset the cost (or expense – investing is also a business) by selling or shorting the May call at $49 for $0.67 per share, so that for a net cost of $1.28 per share today ($1.95 less $0.67), we can sleep at night without any kind of new medication. Moreover, what do we know about any company in which we might invest, including pharmaceuticals of which we know nothing, is that the investors who buy and sell their stocks in the open or common market, are of only two kinds – “risk seeking” and “risk averse” – and (long story short, please see our Post, The Price of Risk, August 2012) almost none of them are willing to invest their money in order to have a better chance of losing it, and stock prices above the price of risk demonstrate a firm commitment to buy and hold the stock at those prices, or higher, until some new information or necessity changes their mind and they decide to sell. Gilead Sciences Incorporated is a research-based biopharmaceutical company that discovers, develops and commercializes innovative medicines in areas of unmet medical need. 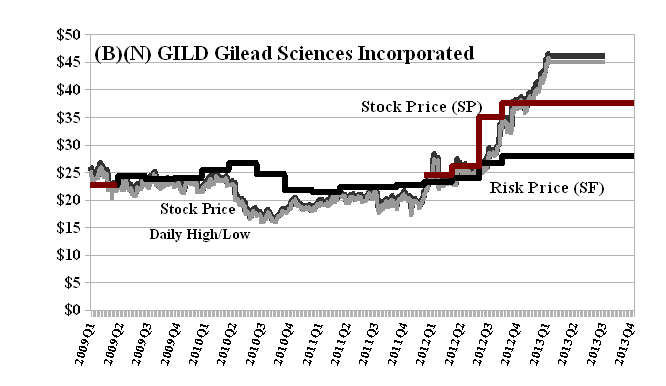 The current market capitalization of Gilead Sciences is $70 billion and about 10 million shares (which is less than 1% of the 1.5 billion shares outstanding) are changing hands at these prices every day. Two of the world’s largest pharmaceuticals, Pfizer Incorporated and Merck & Company, are in the Dow and have market capitalizations of $200 billion and $130 billion, respectively, and they have also been in the Perpetual Bond™ since early 2012 (and even longer) and gained +30% and +20% in the past year. What got our attention, however, is a recent news report and expert information from the research firm, Investors Alliance (Wall Street Journal/PRNewswire and the Investors Alliance, March 1, 2013, Factors Moving Markets- Research Report on Actavis, Inc., AstraZeneca PLC, Bristol-Myers Squibb Company, Gilead Sciences Inc. and Novo Nordisk) on four other pharmaceuticals, all of which are currently trading in the Perpetual Bond™ and none of which we know anything about. From our point of view, as investors in the broad capital markets of hundreds of large firms, worldwide, we can’t possibly know what all of them are doing and what market factors might affect them at any time, and, if we did, what’s the point of being rich? Our Report focuses on the downside risk due to price volatility (Delta and $Stop/Loss) for the companies that are in our portfolio, the Perpetual Bond™, and if all we do is set the current $Stop/Loss Price at which are brokers are obliged to sell the stock should the current market price get that low, the portfolio value drops from $631 billion to $584 billion for a loss of minus (8%) which we might be able to afford if we bought all of these stocks at the time at which they became a (B) – $530 billion (or any smaller amount, such as blocks of 1,000 or 1 million shares in each) for a gain of +18% to date plus dividends of $20.4 billion per year for a current yield of 3.25% – which was sometime last year for most of them. Please see the Exhibits below. Actavis Incorporated is a pharmaceutical company engaged in the development, manufacturing, marketing, sale and distribution of brand and off-patent pharmaceutical products. The current Risk Price (SF) is $67 but it could be much higher ($90) due to a recent acquisition that increased debt from $3 billion to $10 billion, inventory from $900 million to $1.5 billion and the fixed plant from $700 million to $1.4 billion. That doesn’t affect our hold decision at the moment because it’s already in our portfolio at much lower prices and the stock prices continues to trade at above $90. The US Food and Drug Administration (FDA) recently approved Actavis’ generic Suboxone for maintenance treatment of opioid dependence. According to IMS Health Data, total sales for Actavis Suboxone reached $625 million for full-year 2012, and it is expected to surge in revenues after the approval. Drug dependence is a common problem in various regions, and Actavis’ generic Suboxone may possibly rake in a great market share in the global market. 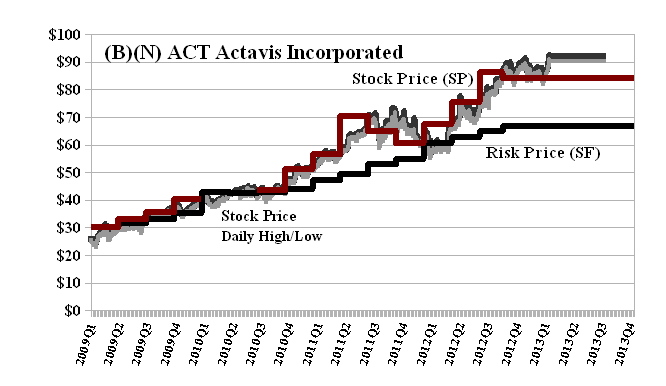 Actavis reported net revenue increase of 13% to $1.75 billion during the fourth quarter and 29% to $5.9 billion for full-year 2012. – ibid, WSJ. The current Risk Price (SF) is $41 and a mere $Stop/Loss could have sold us out at various times absent a “collar” to protect our interest in the stock price and the high dividend rate which is 8% per year at the present time. For example, the May put at $45 sells for $0.95 per share today and the cost can be partially offset by a sold or short call at $50 for $0.20 today so that for a net cost of $0.75 per share today ($0.95 less $0.20), we are “collared” between $45 and $50 for the next several months as more information becomes available. 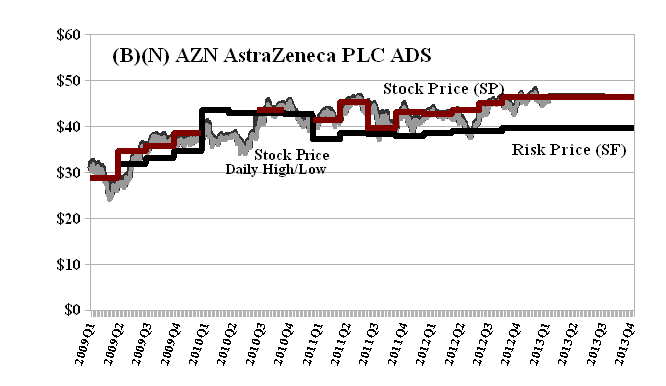 Investors are looking forward to AstraZeneca’s Capital Markets Day on March 21, 2013 when the company announces its new strategy amid the challenges caused by global market conditions. AstraZeneca remains positive after receiving high-level results from KODIAC-08, a 52-week-long safety trial for Naloxegol versus usual care. The core PhaseIII programme is now completed, and AstraZeneca is advancing Naloxegol for regulatory submission within the year. Naloxegol is used for the treatment of opioid-pain-medicine-related constipation, and is a product under the exclusive worldwide license agreement between AstraZeneca and Nektar Therapeutics. – ibid, WSJ. 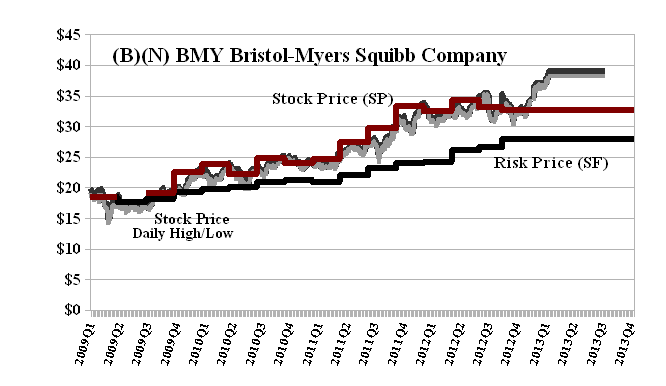 Bristol-Myers Squibb Company is a biopharmaceutical company, engaged in the discovery, development, licensing, manufacturing, marketing, distribution and sale of pharmaceutical products on a global basis. The collaboration agreement between Bristol-Myers and Reckitt Benckiser allows the former to easily penetrate Latin America through the distribution and marketing of several over-the-counter medicines. Bristol-Myers will receive $438 million from Reckitt Benckiser apart from royalties on product sales during its collaboration term. Brazil and Mexico, both emerging markets, are the primary segments where these several products will circulate. According to an official press release from Bristol-Myers, the company’s biopharma strategy allows the company to focus on providing innovative medicines in areas of high unmet medical need. – ibid, WSJ. Novo-Nordisk A/S is a healthcare company engaged in the discovery, development, manufacturing and marketing of pharmaceutical products. The company operates in two business segments, diabetes care and biopharmaceuticals, and maintains its head office in Bagsvrd, Denmark. Novo Nordisk, a global healthcare company with 90 years of innovation and leadership in diabetes care, recently launched NovoSeven with pre-filled syringe for fast bleeding control. NovoSeven is a support rapid treatment for haemophilia patients with inhibitors. Novo Nordisk already received approvals for NovoSeven from European Medicines Agency (EMA) and US Food and Drug Administration (FDA). The company’s Tresiba, a once-daily basal insulin, is also ready for release in Japan. 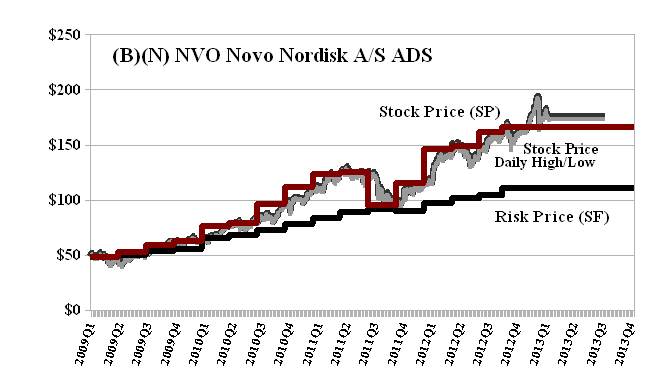 Analysts are expecting Novo Nordisk to penetrate more markets in the coming quarters. – ibid, WSJ.